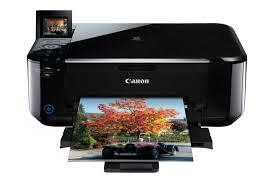 Fast and Reliable Canon Printer Repair service. We service and repair all major brands of Canon printers in all major cities including Dubai, Jumeirah Internet City, Media City, JBR, Gardens, Jebel Ali, Al Nahda, Deira, Bur Dubai, Karama and other surrounding cities. Our printer repair technicians are expert and experienced with various Canon Photocopier models including the Canon Image Runner and Canon Image Class printer Models. We have the right resources and technology to provide you with the highest quality printer repair services on site and our depot location. Urban Clap Our offices enable us to readily access both the north and south of the Dubai, making us ideally located to provide a comprehensive sales, repair and maintenance service for printers, faxes, photocopies, digital duplicators and print finishing, as well as supplying consumables and paper for office equipment. Whether your business needs replacement office equipment, repairs to existing machinery, or you are considering a maintenance contract, We provides a professional, prompt and efficient service, wherever you are in Dubai. We supply, repair and maintain all major manufacturers’ models, including Hewlett Packard (HP), Brother, Ricoh, Konica Minolta, Lexmark, Epson, Duplo and Canon. We also provide printer support for any trouble related to printers.